There's been a lot of discussion lately about "programmatic premium"- using machines to fully automate the purchase of premium advertising inventory. It seems like every conference lately has someone from Kellogg's on a panel saying programmatic premium is GR-R-REAT with very impressive statistics to support their claims. The Ad Exchanges, DSPs, DMPs, SSPs, and various other TLAs (three letter acronyms) you see on Terry Kawaja's Display Lumascape have certainly been successful at automating the buying and selling of remnant inventory. But remnant inventory represents only a small slice of advertising spending. According to Mike Leo, CEO of Operative, only 18% of digital media advertising budget is spent through exchanges. First and foremost, today's exchange-based technologies are not well-suited for buying guaranteed inventory. Exchange-based technology was built to optimize bids on an impression by impression basis in real-time. The lifecycle of the process is literally 30 milliseconds and does not involve humans. It's just a simple transaction between two computers based on pre-programmed bidding algorithms. That leads to the second problem: premium publishers don't want to put their inventory in exchanges because it drives down the value of their inventory. Publishers joke that RTB really stands for "race to the bottom." 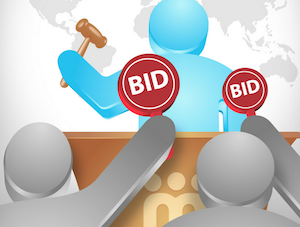 According to Walter Jacobs, EVP of Sales at Turner Digital "We don't participate in any real time bidding or private exchanges at this point. It's a very funny thing, because to the untrained eye, we might seem like an unsophisticated old media company that is scared to embrace technology. The opposite couldn't be much closer to the truth. [...] We believe the downside of RTB and private exchanges is that it fragments audiences." A third problem that is rarely mentioned, but perhaps trumps them all is the dirty secret that advertising agencies are making a ton of money on the old way of buying guaranteed inventory. Starting around 1990, agencies have moved from media commission models to hourly (or "cost plus") pricing models. According to the 4A's Labor Billing Survey Report, 91% of proposals today are priced based on hourly rates (despite scoring lowest among alternatives on the Grossman Grid). In other words, the more time they spend on a job the more they get paid for the job. A typical digital media plan costs an agency $40,000+ in labor to create and execute. These costs plus a profit margin are the revenue for the agency. As such, agencies are reluctant to adopt technologies solely on the basis of efficiency because it will cut their revenue. As an engineer, it kills me there's a disincentive to be more efficient. But that's the cruel reality of the situation. Any new technology has to have value beyond just efficiency to give the agency a really good reason to break rank and to go through the painful process of establishing a new compensation model that preserves their revenue. There's a billion dollar opportunity for automation in premium inventory. Ad tech stack vendors have proven that automation works in remnant inventory. Now it's time to raise the bar and evolve the automation to support the more sophisticated needs of the buyers and sellers in premium advertising inventory.